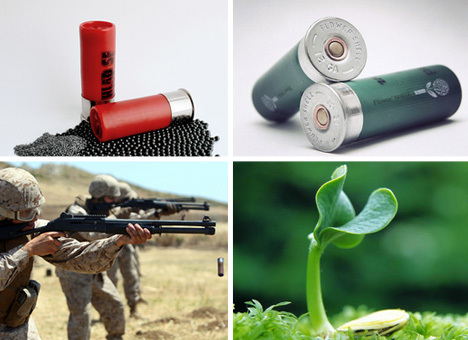 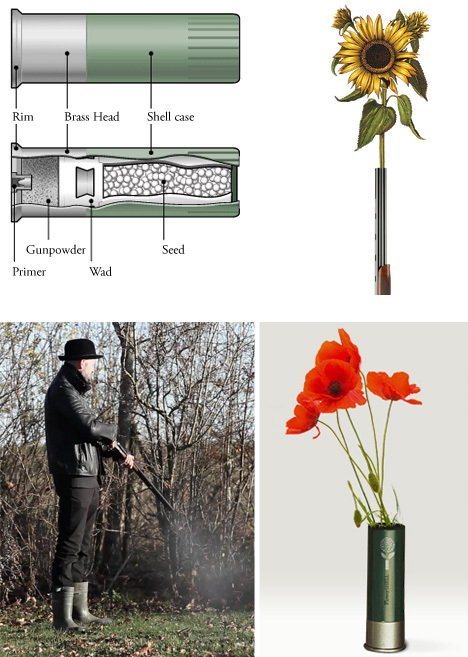 Seed bombs have long been a (non-violent) weapon of choice for guerrilla gardeners, but Flower Shells now aim to make your 12-gauge shotgun a key part of your go-green arsenal. 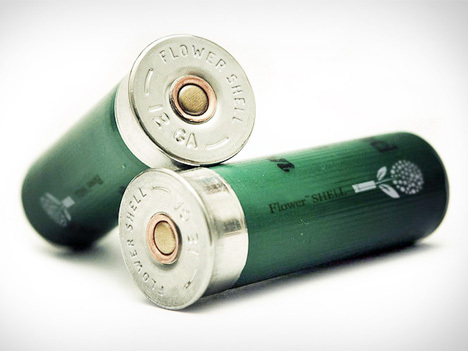 Perhaps these will redefine ‘flower power’ for a new generation of eco-warriors, though a bad misfire might instead give new meaning to ‘pushing up daisies’. 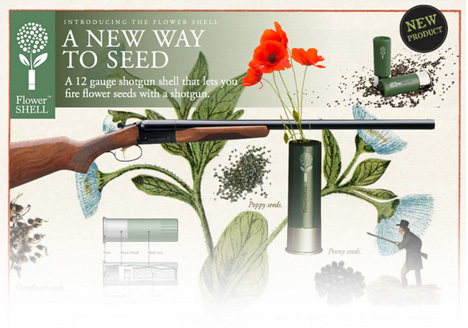 “A personal project between art, gardening and gun smoke,” these are what they sound like: modified shotgun shells filled with seeds, all designed to make gardening more fun.